Land a job that makes you feel joyful, fulfilled, and truly proud. Imagine yourself sitting down with your feet up on the desk. You feel calm, and self-assured, because you know exactly what you’re going after in your career. You can even boil it down to one job title or a few short sentences that clearly convey that you know what you want and you’re ready to get it. You feel ready to go in and nail any interview question that might get thrown your way, and to negotiate for the offer you truly want and deserve. You think about job searching, and somehow, you smile. Because you know that in this job search — and every future job search — you have what it takes to make it through to the other side with your confidence and joy intact, and without losing your mind or all your free time in the process. You know, deeply believe and trust that you WILL land a job you love in just a few short weeks. What if I told you, this is 100%, absolutely within reach for you today? 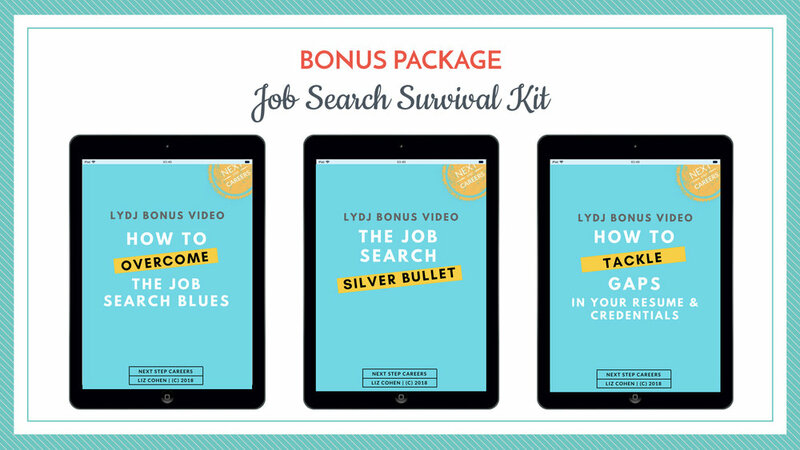 LYDJ combines video instruction, weekly exercises, and personalized coaching — taking the headache and heartache out of the job search, and helping you nail every step of your transition with confidence. Email Templates and Talking Points for Networking, Interviewing, and Following Up, and more! bONUS #1: COACHING FROM LIZ! 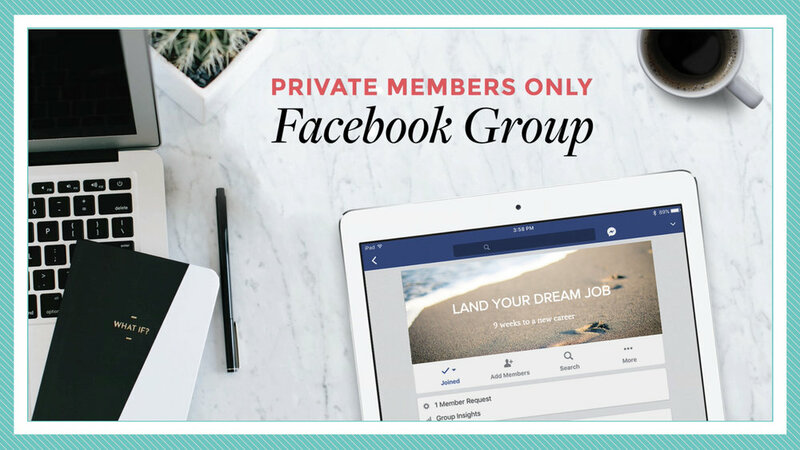 As an LYDJ member, you get direct access to ME to answer all of your job search queries via our Private, Members-Only Facebook Group. I’ll give you feedback on your resume and cover letter, help you respond to challenging situations, and cheer you on every step of the way! When you add it all up, that's a total value of $4,939. If you're still on the fence... I want you to know this is -- as it should be -- a risk-free decision. I want to give you EVERY opportunity to put LYDJ into action and experience how easy and exciting it can be to go through a job search with momentum, confidence, JOY, and results. That's why I'm giving you a full 2 months to try it out, implement the system, and give it your best shot. If you're unsatisfied with the course in any way, I'll give you a full refund within 60 days of purchase. No questions asked. Seriously. Then I want to commend you on dreaming big about your career, and recognizing the importance of investing in your most important asset -- YOU. Your dream job is waiting for you to get out there and land it. Get started RIGHT NOW by choosing the plan that works for you. If you have any questions or concerns about the course, just email us!